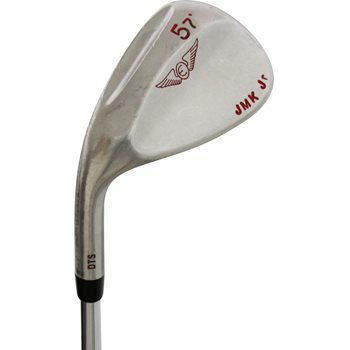 The Edel Hand Ground Driver wedge has a V-Grind shape sole with mid to high bounce; this wedge is ideal for golfers with a steep angle of attack. This wedge has a high bounce angle and a leading edge still close o the ground. This type of bounce allows the club to glide through the turf or sand with ease. The heel, toe, and trailing edge all have considerate relief; allowing the golfer to open the clubface without the leading edge being high 0ff of the ground. The head is cast out of 304 stainless steel and the grooves are CNC milled.